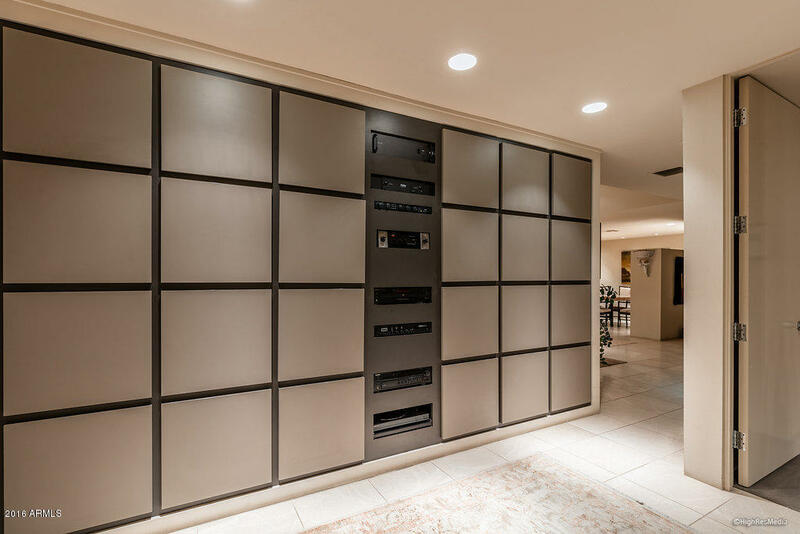 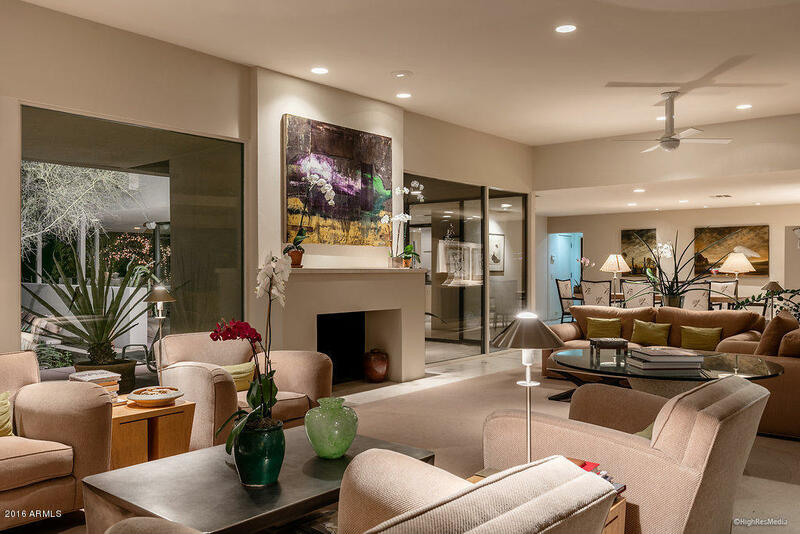 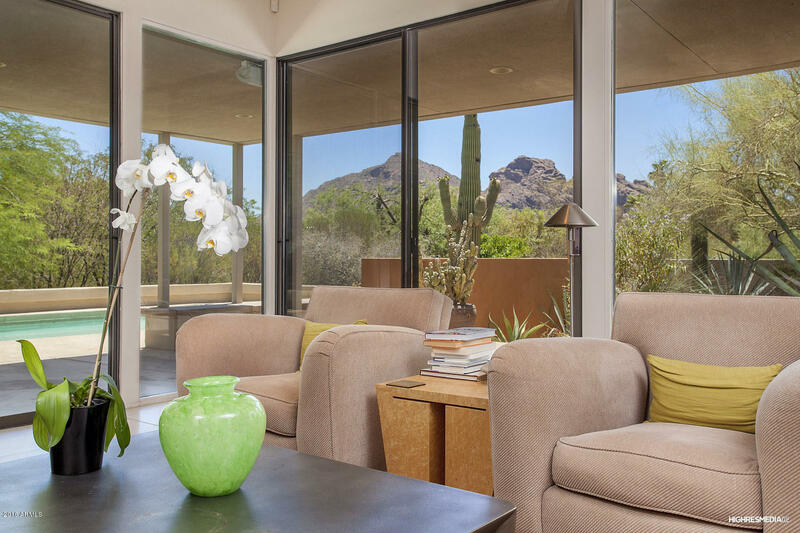 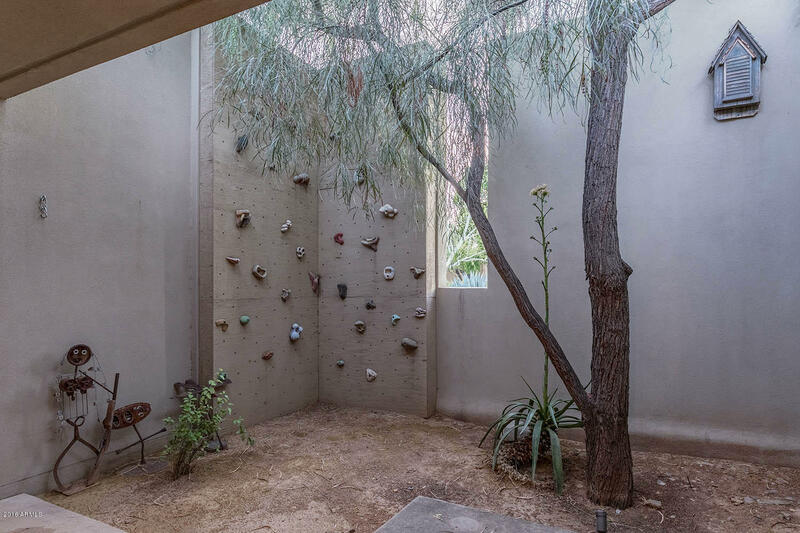 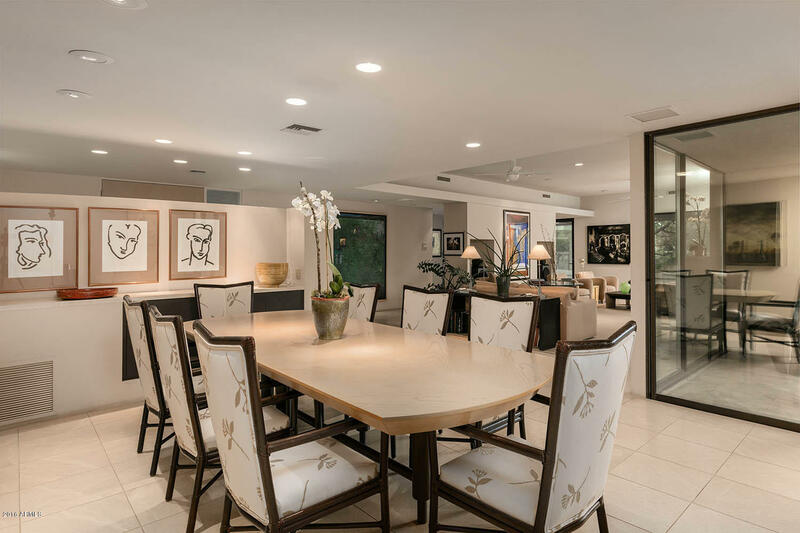 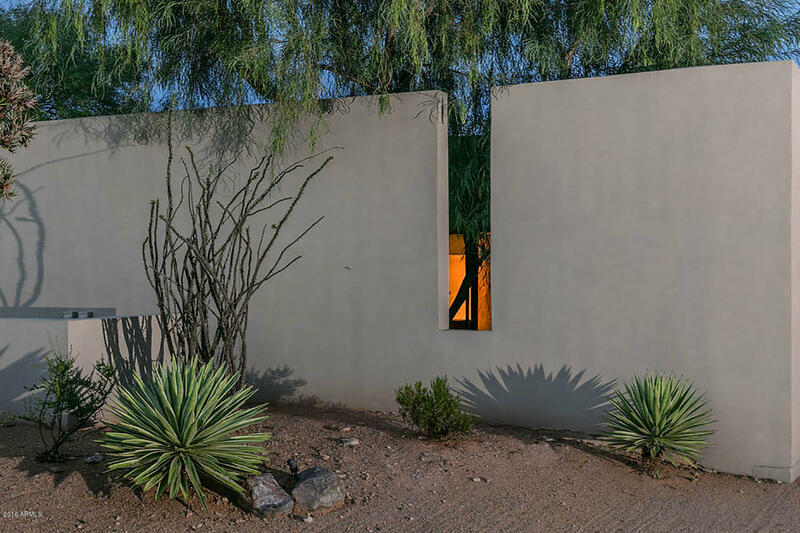 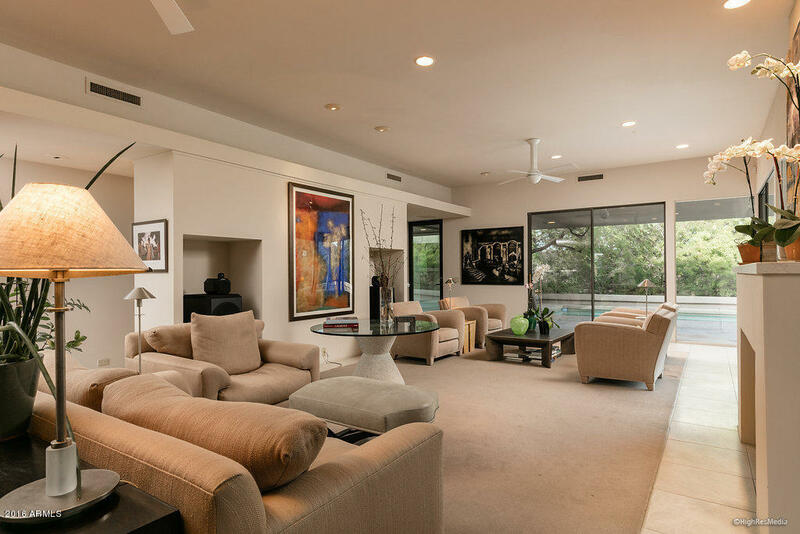 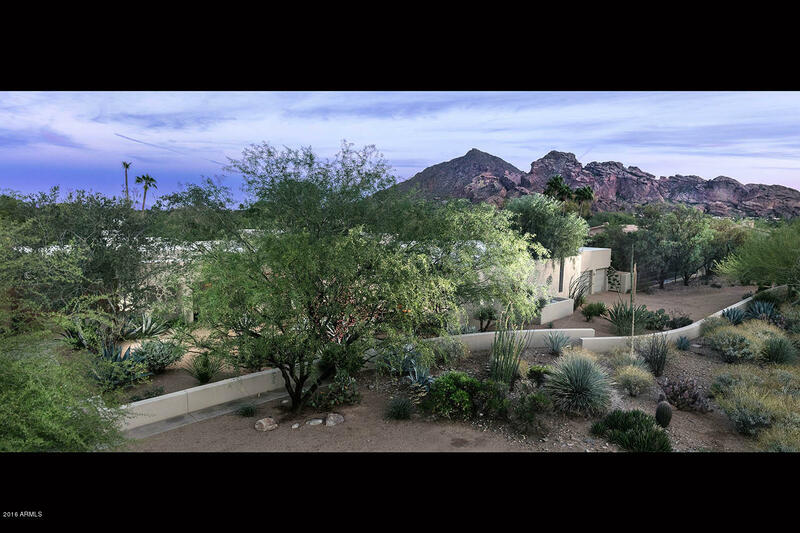 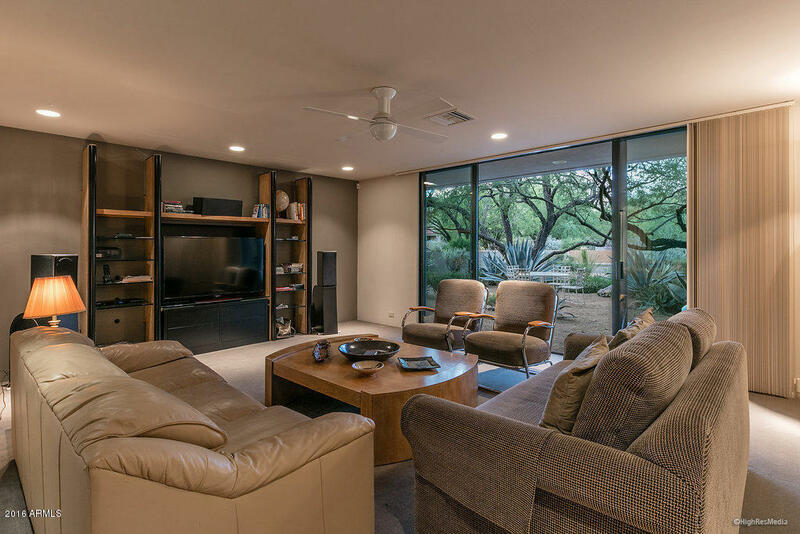 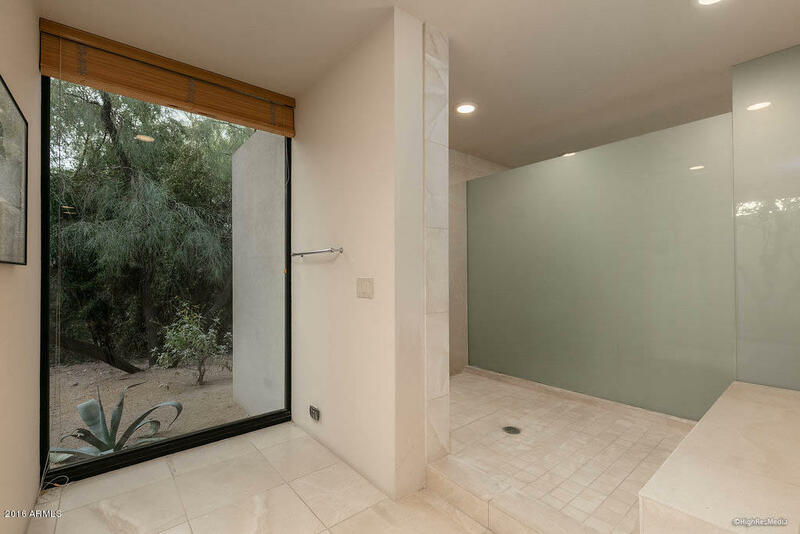 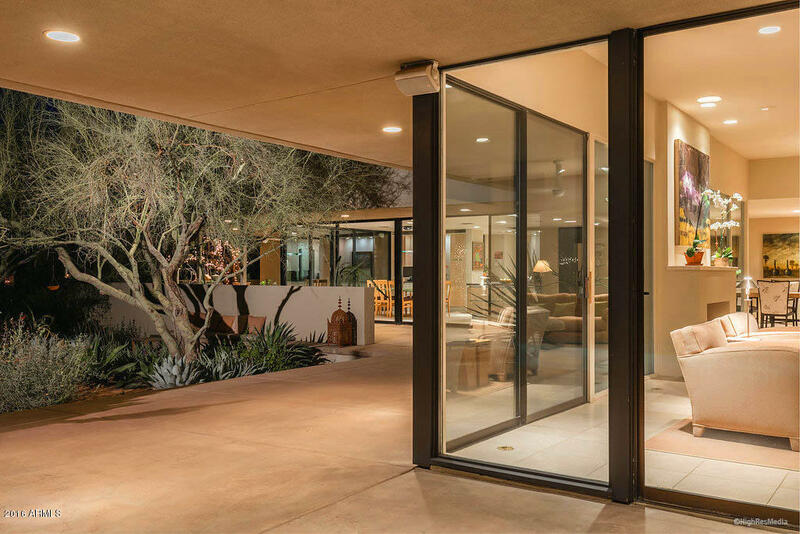 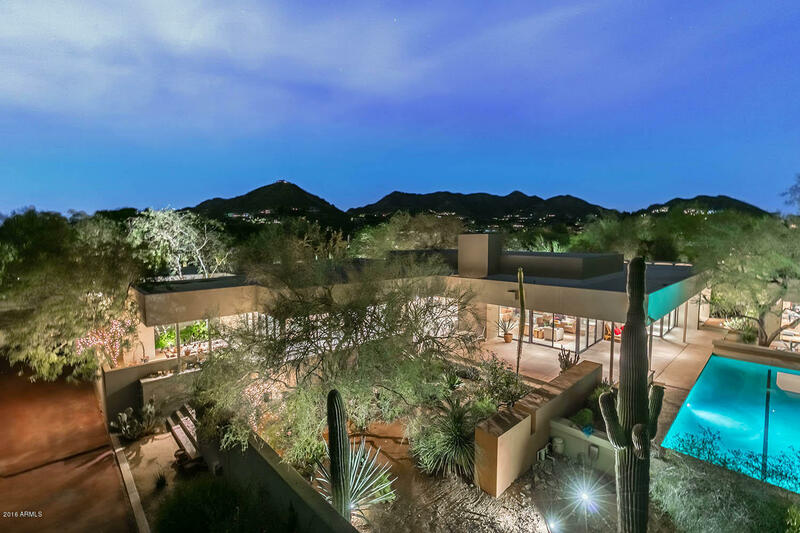 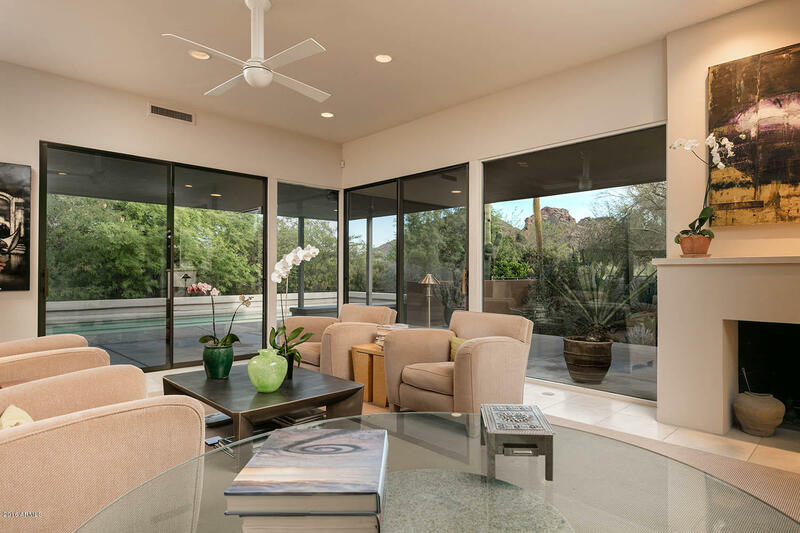 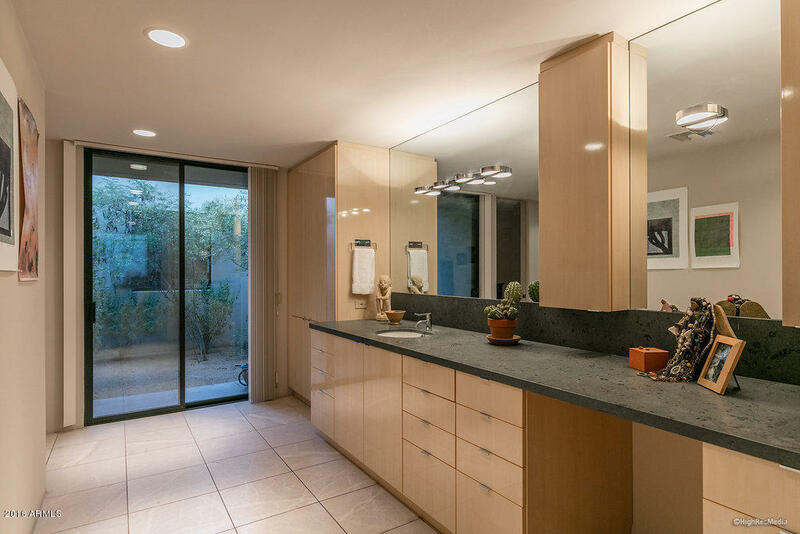 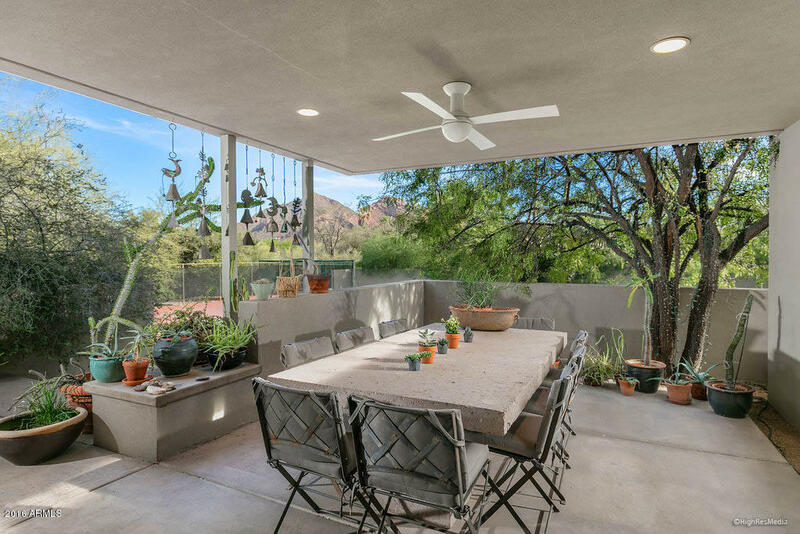 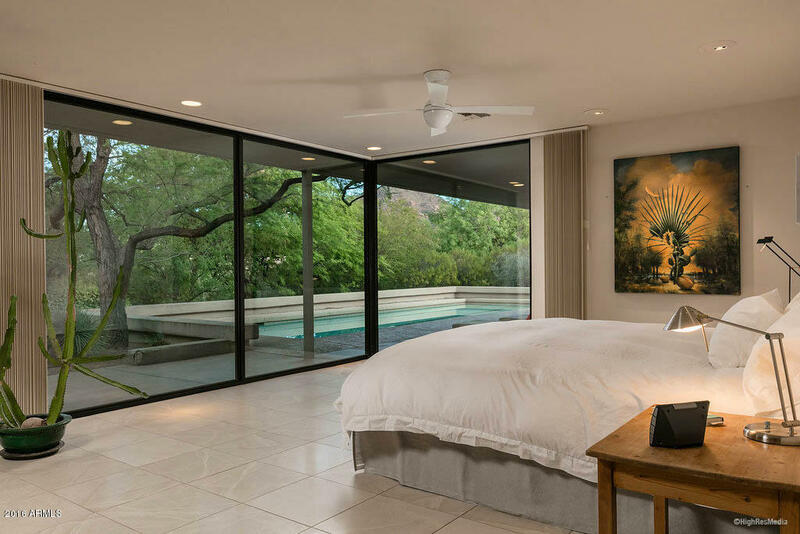 The entire back walls of this sophisticated contemporary home are glass, merging outdoors and indoors, highlighting a beautiful view of Camelback Mtn and the Praying Monk! 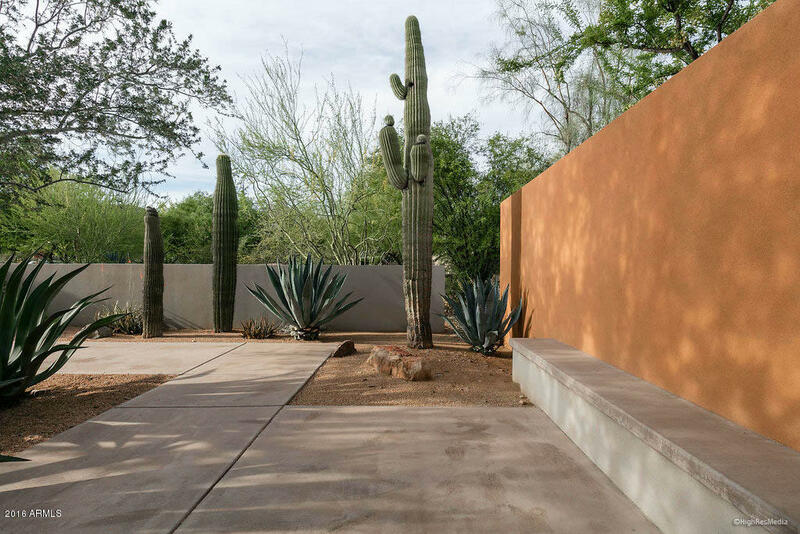 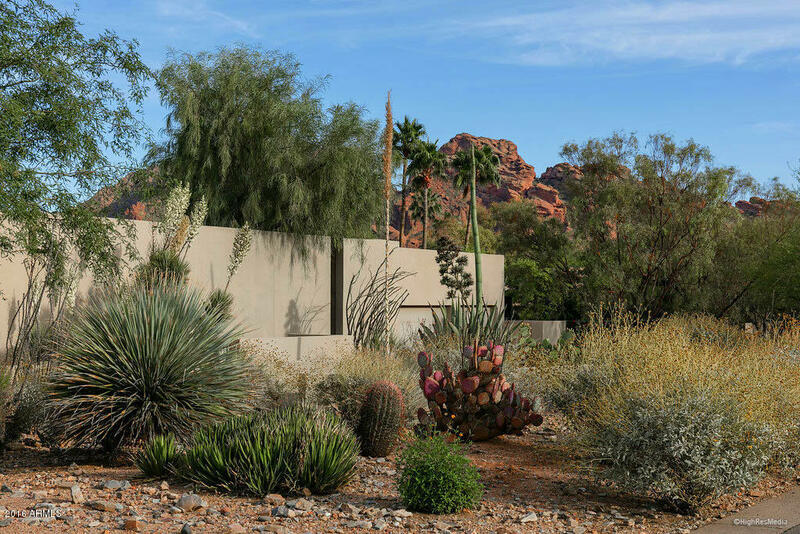 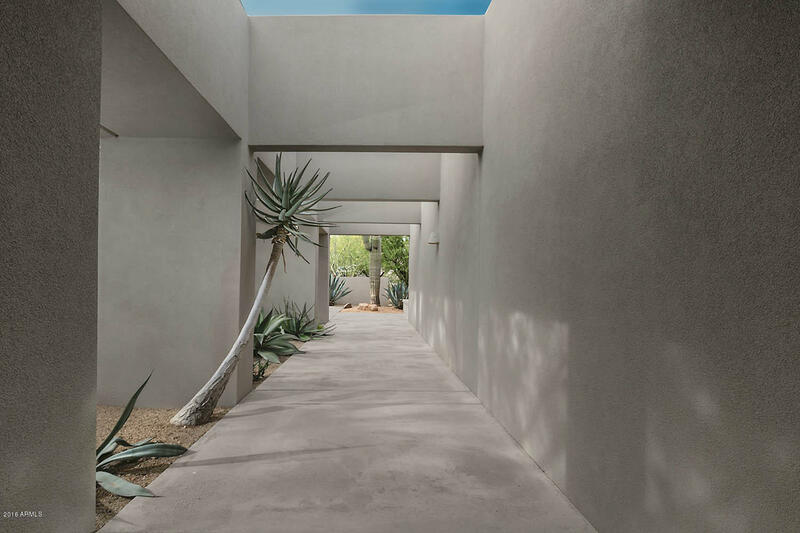 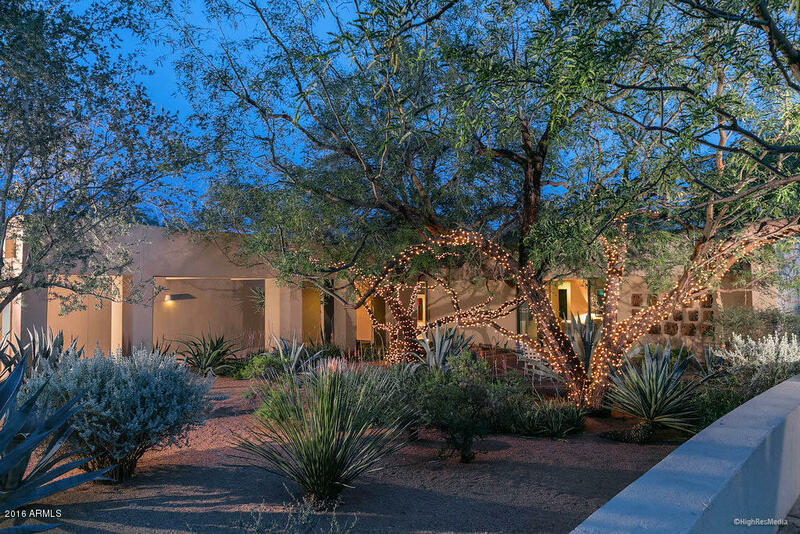 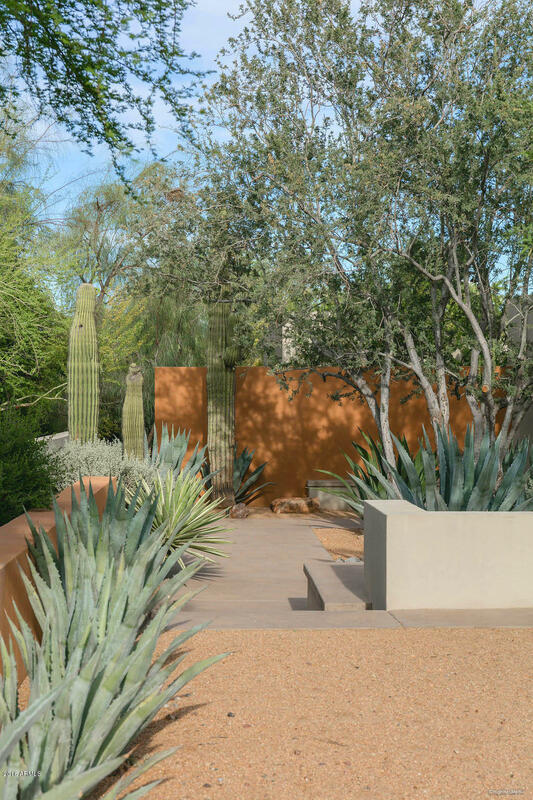 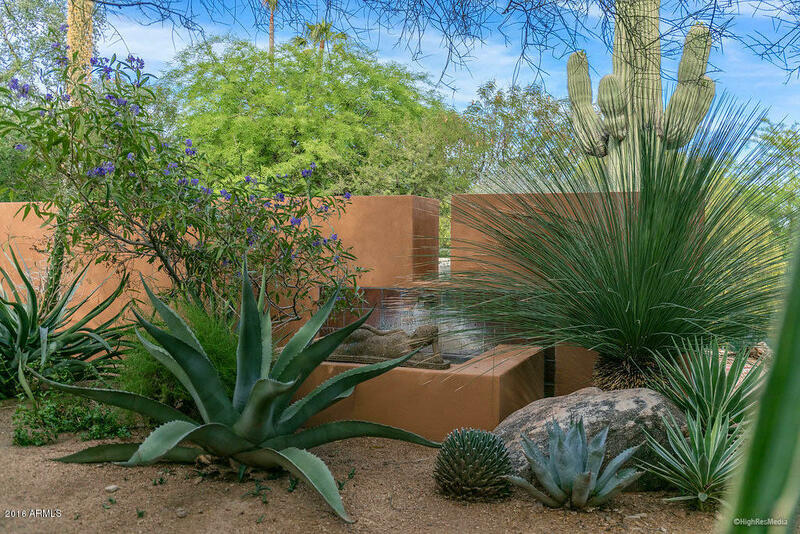 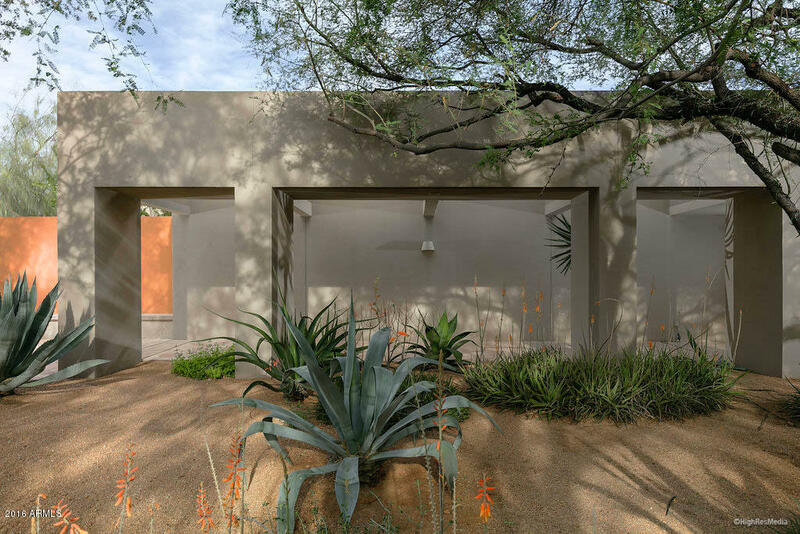 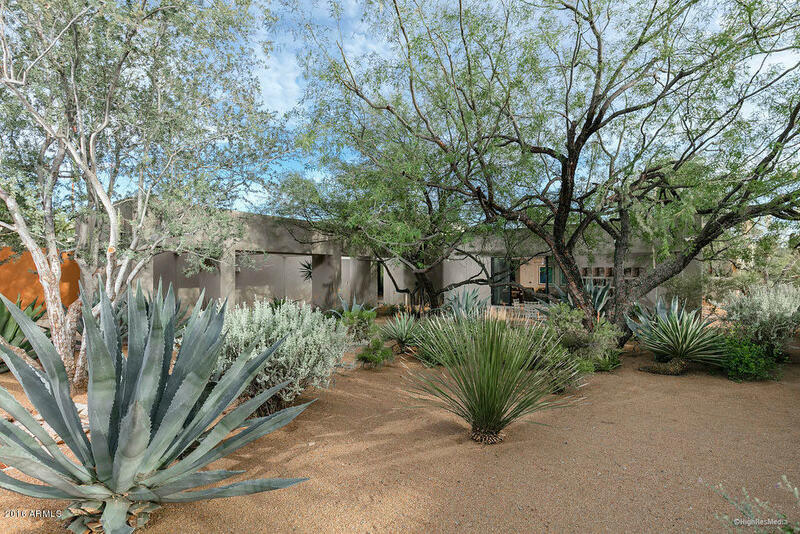 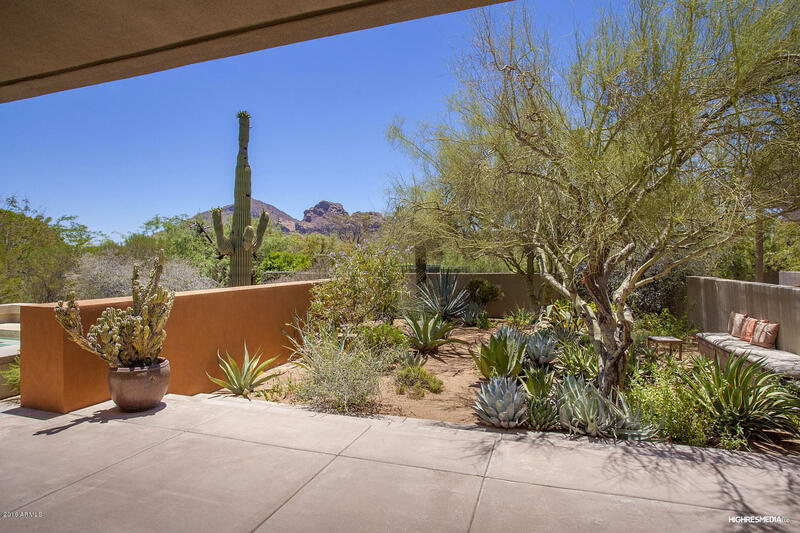 Walk along the large entryway courtyard past specimen desert plantings. 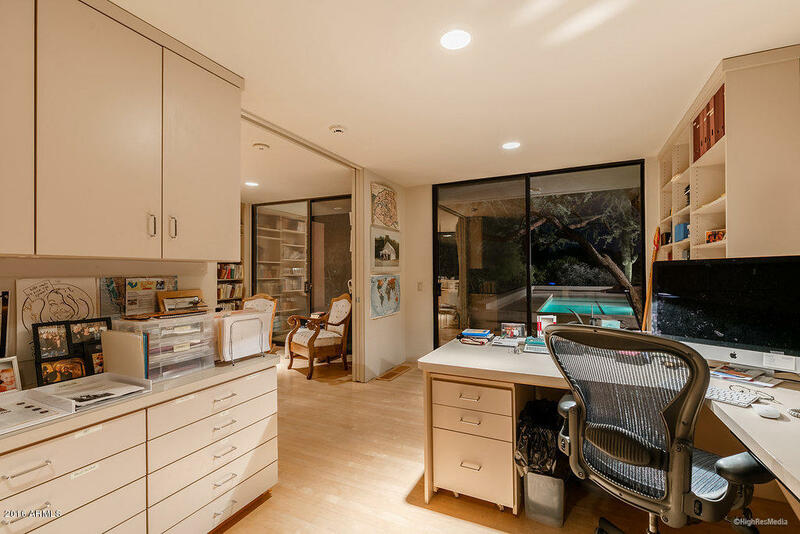 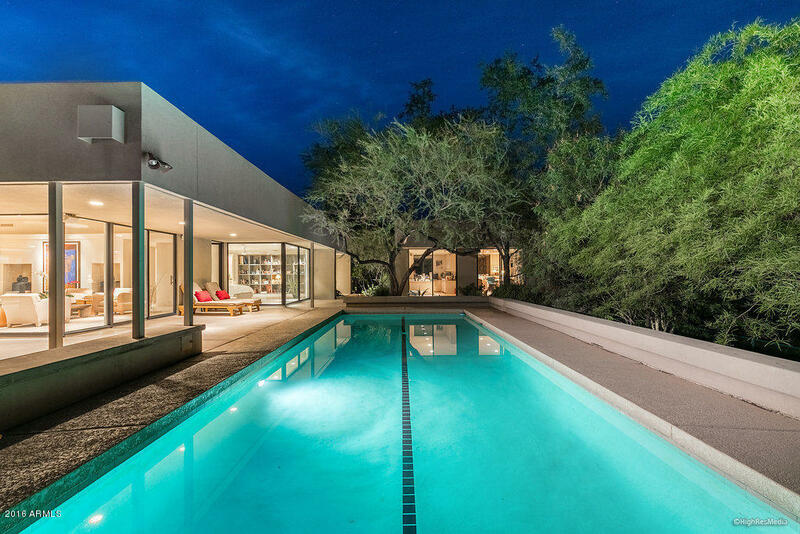 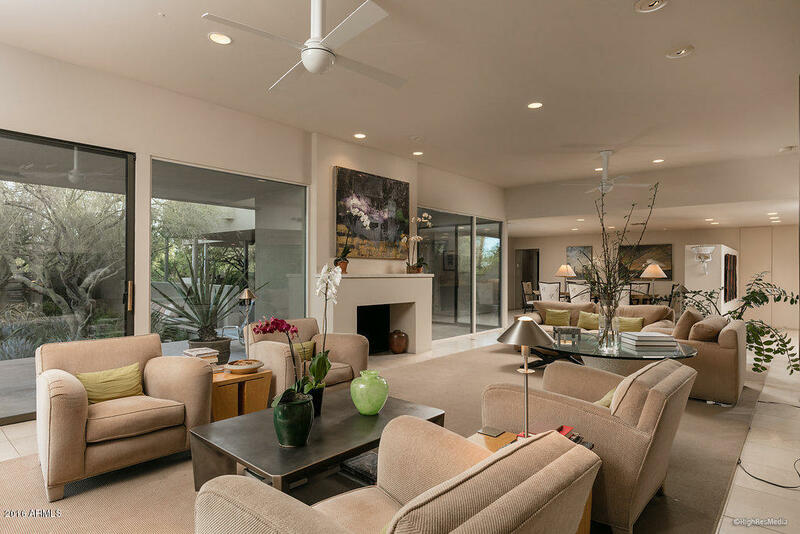 Designed by Calvin Straub,remodeled and expanded by architect John Douglas and builder Greg Hunt,the home is open and free-flowing. 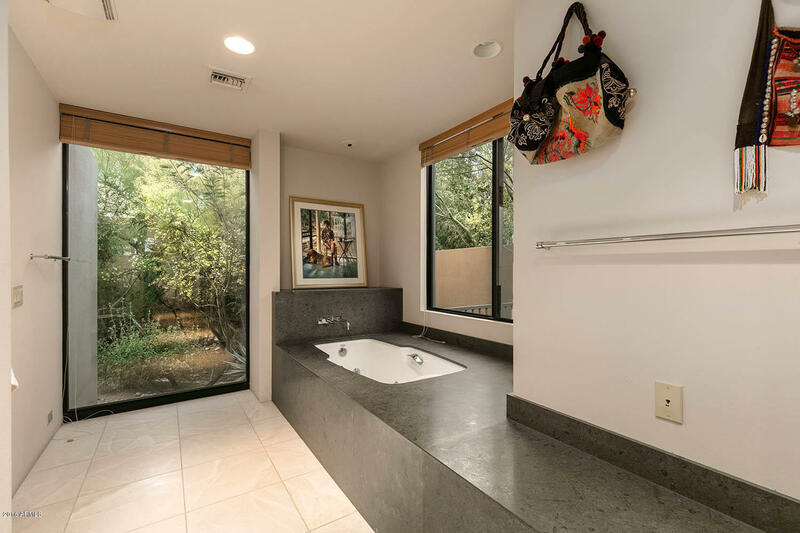 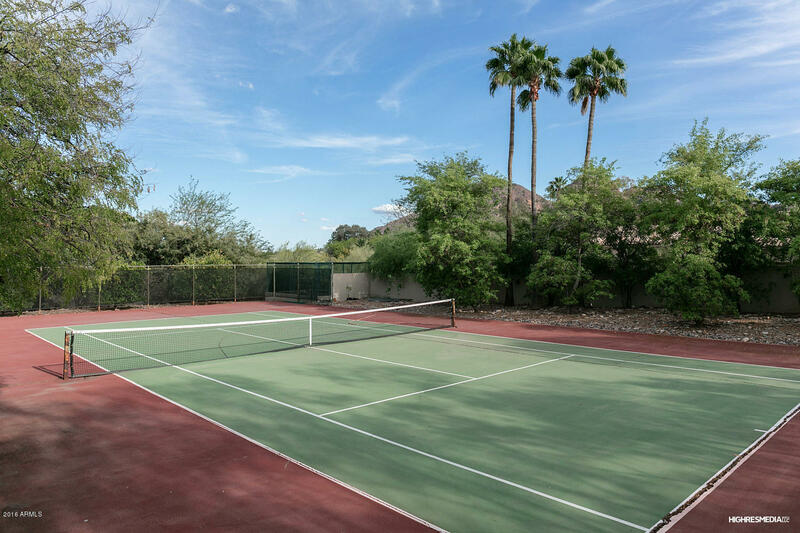 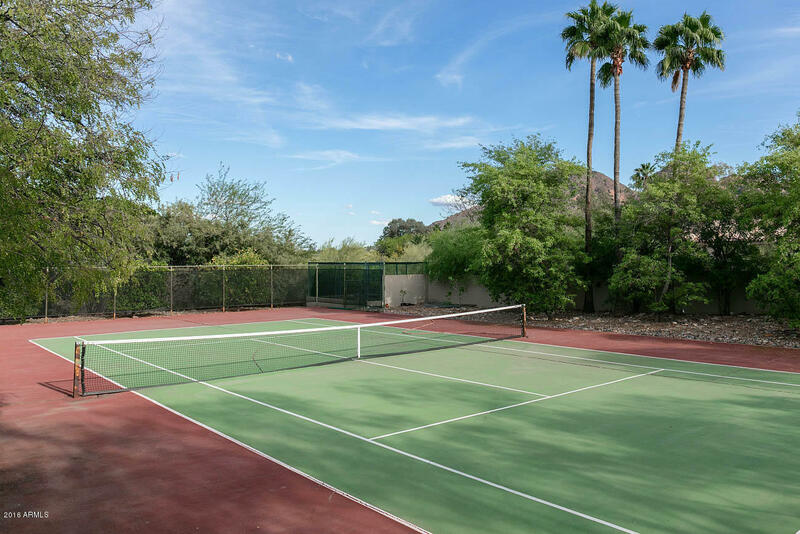 It has completely separate his and her master bathrms, a media room, tennis court,lap pool and guest house with 2 offices.Counters thruout are deep grey limestone and floors are pale grey limestone. 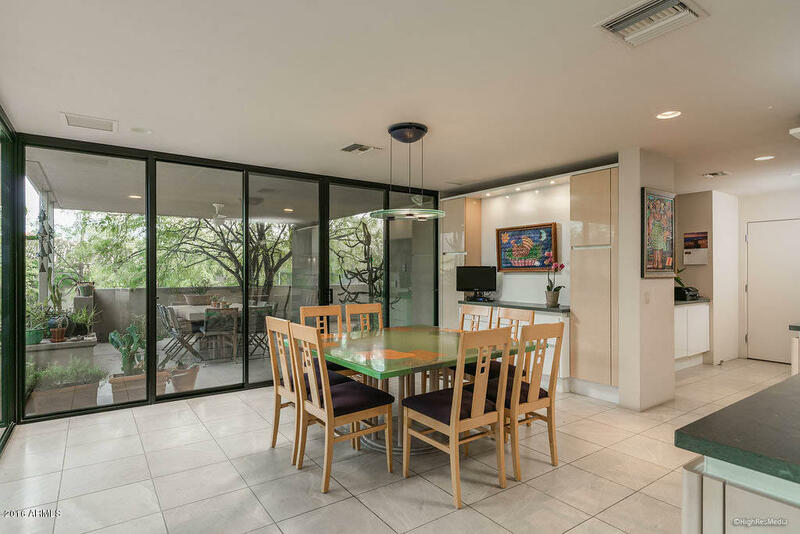 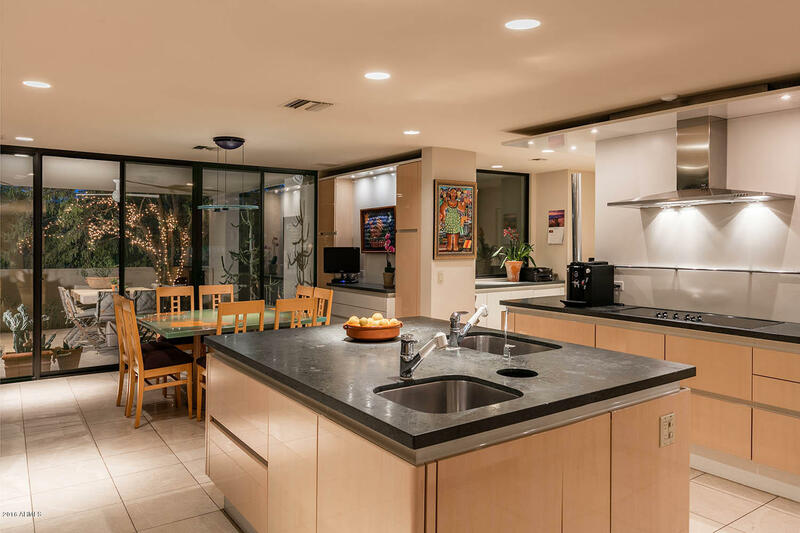 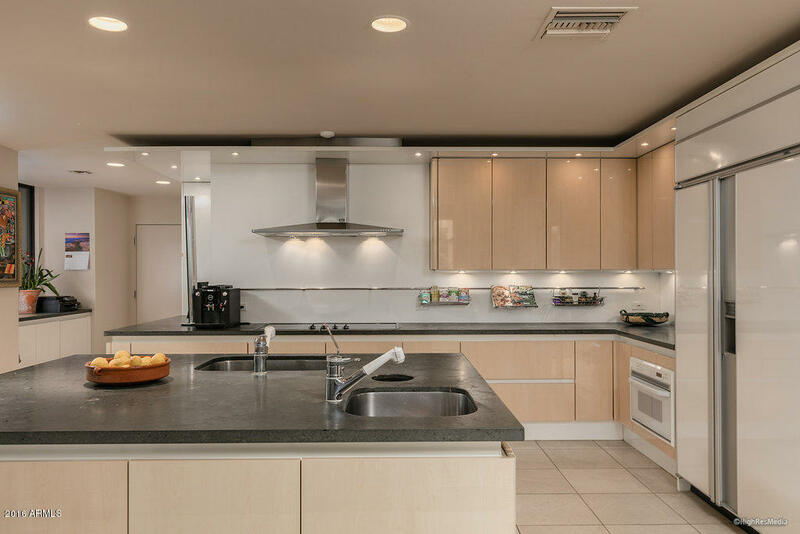 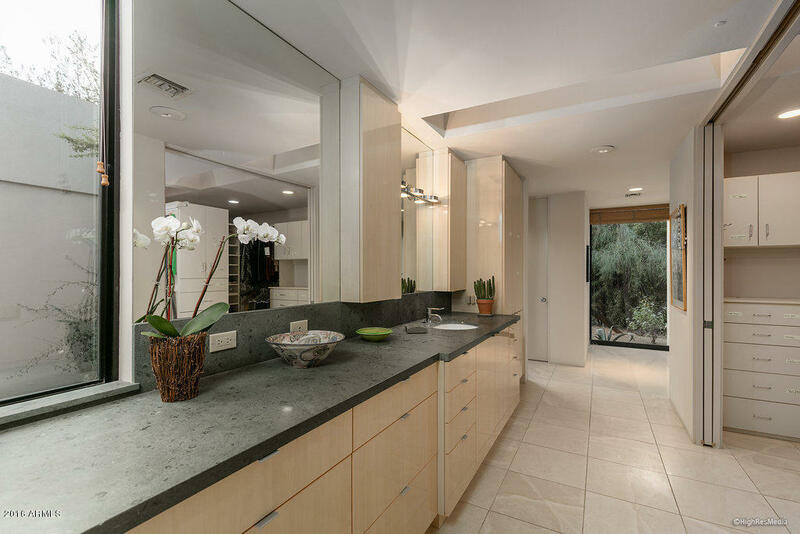 The chef's kitchen, with German Siematic cabinetry, has a glass enclosed breakfast area which opens to a covered dining patio overlooking the Zen garden oasis. 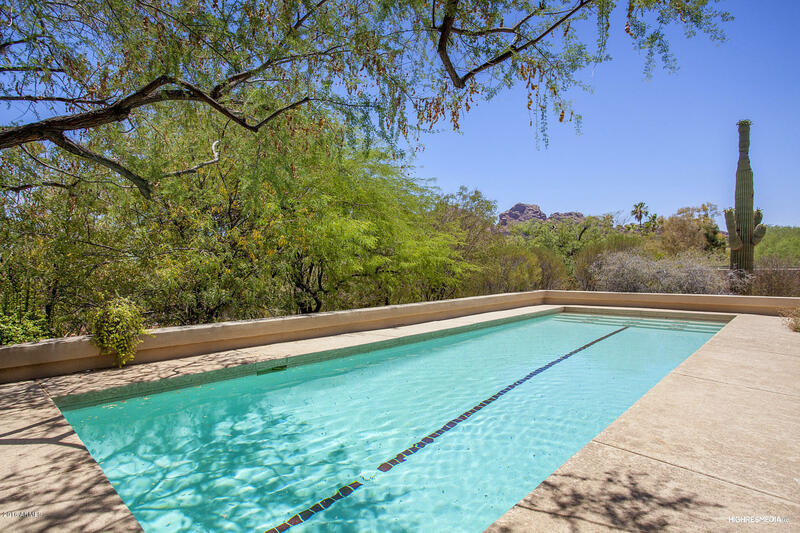 A secluded property - a quiet sanctuary evoking peace of mind.